On paper, Tina and The Cher Show have much in common, with both being juke box musicals about female artists with proven survival skills. Both women survived relationships with toxic men, and both shows are overseen by their titular divas. 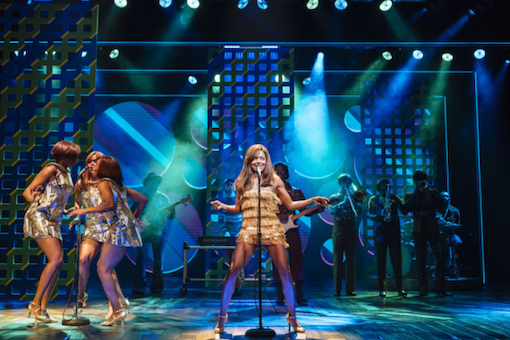 Where Tina succeeds, and The Cher Show struggled, is in cutting to the heart of the story to engage the audience rather than just bombarding the audience with wiki snippets as the show rolls from song to song. In a creative aspect that would usually be a contra indicator to success, the book for Tina is written by a committee of three: Katori Hall and Frank Ketelaar & Kees Prins. Tina’s early life is laughably simplified (her mother and sister and then her father all leave her in one brief dinner table scene), but from here on, the show is well judged and smartly executed. 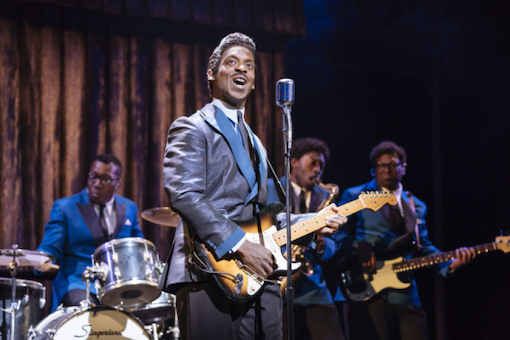 The abusive relationship that Tina suffered with Ike Turner is harrowing, and her subsequent rise to rebuild her career, in the face of ageism and racism, becomes the key focus of the second act. Experienced director Phyllida Lloyd creates a more grounded atmosphere than the bubble gum fizz of Mamma Mia!, ensuring that the drama of the physical and verbal abuse land with great impact. Even with Turner’s later success a well known fact to the audience, the tension of her lean years is keenly felt. Acclaimed design Mark Thompson recreates iconic looks while avoiding camp. 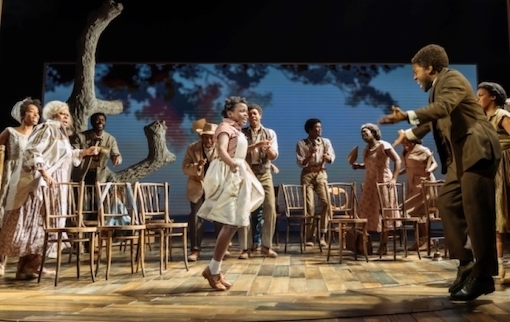 Scenery is simple and flows smoothly, generally rising from beneath the stage. A large rear screen shows video images, for which designer Jeff Sugg has made the curious choice of making out of focus. With the input of lighting designer Bruno Poet, the final concert is the show’s most spectacular sequence, ending the night on a real high. The supporting cast members play a much more interesting range of roles than that of the glorified back up dancers of The Cher Show. 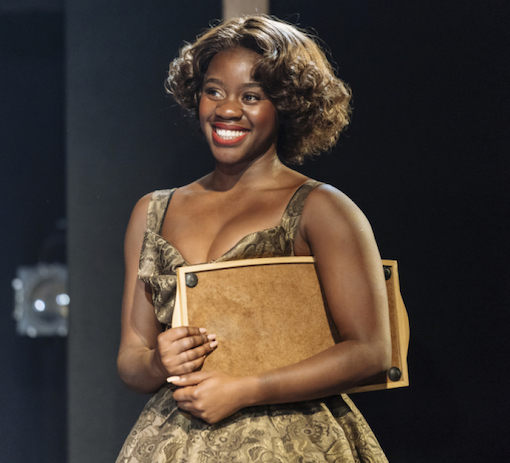 Kobna Holdbrook-Smith currently has the toughest job on the West End, playing a lead role that the audience absolutely hates. Ike Turner is shown as a drug-abusing, womanising wife-beater whose only comeuppance is an eventual slide into obscurity. 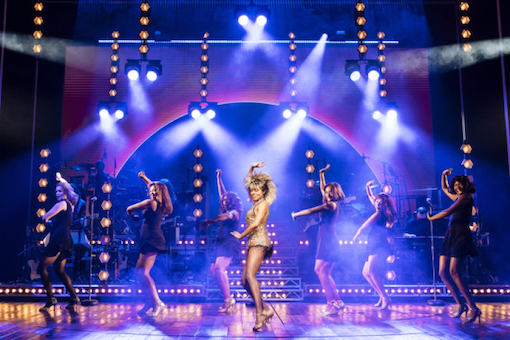 A key player in Tina’s career resurgence, Melbourne’s own Roger Davies enters the story just as he is about to launch Olivia Newton John’s own successful new direction with “Physical.” Roger was played with ready charm, at this performance, by Gavin Alex. 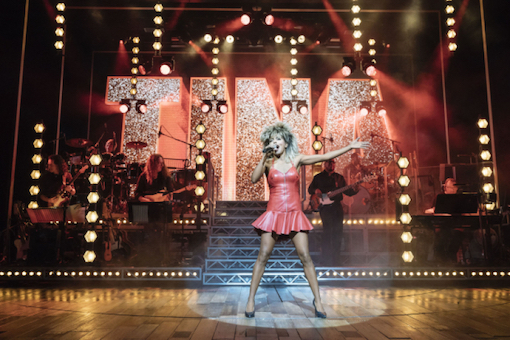 Tina: The Tina Turner Musical was reviewed 7.30pm Monday 21 January 2019 at Aldwych Theatre, London.